According to Jewish law, it is forbidden to eat chametz after the fourth halachic hour3 on the morning before Passover. It is forbidden to derive any benefit from chametz at the fifth hour, and all chametz should be burned before the sixth hour. From then until after Passover, chametz is completely forbidden. Why does the prohibition start before Passover begins? To prevent people from transgressing the prohibition inadvertently, the sages decreed that the prohibition of eating chametz starts two hours before midday, and the prohibition of deriving any benefit starts one hour prior to midday. To see the relevant halachic times for your area, click here. Long before Passover begins, we clean our homes, offices, and any other place that belongs to us to rid our homes of chametz. Although it’s praiseworthy to be stringent on Passover, keep in mind that dust isn’t chametz. 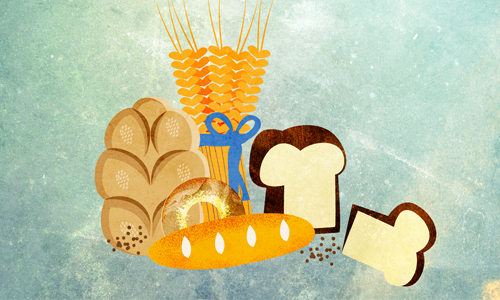 The main purpose of cleaning and searching for chametz is to remove any chametz that one may come to inadvertently eat or derive benefit from during Passover. This obligation of getting rid of chametz does not extend to inedible chametz or tiny crumbs or particles of chametz that are soiled or spoiled. So the key areas to focus on are things that may come in contact with food, since we are forbidden to eat anything with even a trace of chametz. The kitchen should be thoroughly cleaned, and all surfaces should be covered or koshered. Additionally, if you’re using your regular utensils or appliances for Passover, they will need to be koshered. If finances permit, it is better (and easier) to simply buy a set of Passover utensils. For more on the specifics of getting rid of chametz and koshering your kitchen, click here. Some non-food items, such as vitamins and cosmetics, may contain chametz and will need to be disposed of or sold (see below). Please consult with a rabbi for a list of permissible and prohibited items. On the eve of the 14th of Nissan, with just 24 hours to go to the Seder, we search our property—including home, office and car—for any chametz that may have been missed in the cleaning process. Before we start the search, we recite the blessing (found here). No interruption should be made between reciting the blessing and the start of the search. Additionally, during the search, we only discuss that which pertains to the search for chametz. In order to ensure that we remember to conduct the search on time, it is forbidden to eat or even learn Torah after nightfall until after the search has been completed. Following the search for chametz, we recite a “nullification statement” renouncing all ownership of any chametz that, unbeknownst to us, may still be in our possession. The nullification statement should be said in a language that you understand, and can be found here. Through nullifying our chametz, we consider it as no more than dust and thus ownerless, thereby fulfilling the mitzvah of removing chametz from our possession. The sold chametz and utensils should be set aside in a designated place (e.g., closet or cabinet), which is rented to the non-Jewish buyer until after Passover. This storage place should be clearly marked, so no one can take anything from there through force of habit. The sale of chametz to the non-Jew is not a symbolic sale, but a legally binding transaction, and must therefore be conducted by a competent rabbi. After writing a bill of sale, one may leave the chametz in his home without transgressing the prohibitions of not seeing or having chametz, since the chametz no longer belongs to him. For more about the sale of chametz, click here. To arrange for the sale of your chametz, click here. On the 14th of Nissan, before the sixth hour of the day, we burn any chametz that we still have. This includes the bag of chametz from our search the previous night. After the chametz is burned, we again recite a nullification statement. However, this nullification statement has a slightly different wording than what was said at night after the search for chametz. The statement recited at night includes only chametz that was missed in the search, but doesn’t include chametz set aside to be sold or eaten in the morning. When we burn the chametz, the statement includes all chametz that may still be in our possession, and serves as a final “safety measure” for a chametz-less Passover. Due to the gravity of the prohibition of chametz, the medieval Ashkenazic rabbis also forbade the consumption of any kitniyot (very loosely translated as “legumes”) on Passover, since they can be confused with the forbidden grains. This includes (but is not limited to): rice, corn, soybeans, stringbeans, peas, lentils, mustard, sesame and poppy seeds. This ban was accepted as binding law by Ashkenazic Jewry. The prohibition extends only to the consumption of kitniyot; there is no obligation to destroy or sell kitniyot products before Passover, and we can derive benefit from kitniyot products (e.g., pet food) during Passover. For more on kitniyot, click here. Due to the severity of the prohibition of owning chametz on Passover, the rabbis of the Talmud established an after-the-fact penalty for owning any chametz products during Pesach. This prohibition is known as chametz she’avar alav haPesach. One may not consume or even derive benefit from such chametz, and if chametz is found either on or after Passover that was owned by a Jew during Passover, it needs to be destroyed. So, what does that mean on a practical level? When you’re purchasing chametz products after Passover from a Jewish-owned store, the owner cannot have owned that chametz during Passover. If he did, you’ll need to refrain from purchasing any chametz products there until it is deemed that a sufficient amount of time has passed for all of those chametz products to have been sold. Consult your local rabbi with any questions regarding stores in your area. This prohibition does not apply to kitniyot, since one is permitted to own it on Passover. Chametz and matzah are almost the same substance, containing the same ingredients of flour and water. The one key difference is that while chametz bread rises, filling itself with hot air, the matzah stays flat and humble. Thus, chametz represents that swelling of ego that enslaves the soul more than any external prison. It is for this reason that once a year on Passover, when we celebrate our freedom from slavery and our birth as a nation unto G‑d, we are extremely careful to eradicate any chametz that we may have. The flat, unpretentious matzah represents the humility, self-effacement and commitment that are the ultimate liberators, enabling us to connect to G‑d without our egos getting in the way. And that is why eating matzah on Passover is so fundamental to our faith. Technically, flour need not be chametz. However, common practice is that before the milling process begins, the wheat kernels are tempered (sprayed) with water and left to stand until the moisture penetrates it. Therefore, the custom is to treat flour as chametz. A halachic hour is calculated by dividing the daytime hours into twelve equal parts. For more on this, see Why Is Passover on Nissan 15, Not Nissan 14? For more on this, see Why scatter 10 pieces of bread? Even if someone incurs Karet (spiritual excision) by eating Chametz intentionally on Passover - sincere repentance, Teshuva, can erase this sin, and bring the person to greater spiritual heights than before - please see here for info about this. Even prior to doing Teshuva, they are still Jewish and must fulfill all the Mitzvot, and will reap spiritual benefits from it. This is all in addition to determining what is meant by the term "intentionally" - if a person was never well educated in the severity of eating Chametz on Passover - can this be considered intentional? Thus, if we see someone transgressing this prohibition - we need to assume that it is most likely because they are missing something in their Jewish education. Re: Yeast, Baking Soda and Powder (Sodium bicarbonate) In order to understand why Sodium bicarbonate (Baking powder, soda) is not Chametz. Let's clear up a common misconception about yeast. Yeast itself isn't necessarily chametz either (no that isn't typo). On Passover it is forbidden to own or eat Chametz which, as explained in the article is food product made from one of the five grains that came into contact with water and was allowed to ferment and “rise.” No leavening agent is necessary for this to happen. This is because even the air we breathe contains some “yeast” - yeast being a living microorganism which converts some of the flour into the carbon dioxide causing it to rise. Thus, there is a common phrase that Matza is the closest thing to Chametz on Passover, since leaving it for just a bit too long out, can render it Chametz. Now, besides for Chametz, the Torah also prohibits Se'or. However, while se’or (sourdough) may be yeast, yeast itself isn’t necessarily se’or. One can, however, produce yeast using certain plants instead of sourdough. Such yeast, as long as it doesn’t otherwise contain Chametz from the five grains, is not chametz despite the fact that it shares the same characteristics as se’or (sourdough) and therefore one may technically own it on Passover. I wanted to ask the Rabbi what is the Chametz or leavening, to be removed from our homes? bread as source of food energy, whether leavened or not still you will get the energy you need is the time wasted to wait for to leaven and you still will get the same source of energy, why wait? what is wasted our time to do what meant to do with our lives, what is restraining our lives after its freedom, What is really the leaven that is in our homes? that waste our time ?and Unnecessary, and that we will get the same purpose from it but something extra to it that we do that is waste of time? what is it in our homes that takes us back from what we suppose to do? I am Ashkenazim but Sephardim only for Pesach. Being Celiac I am on a Chametz free diet year around. However I also have other sever food allergies, and use soy/legume products, which being kitniyot, are not allowed with Ashkenazim but allowed with Sephardim. I have spoken at length with my Rabbi several times over the years growing up and in my adulthood about this issue, and it has been encouraged. And it was actually suggested to do the Sephardim route for Pesach to do the kitniyot. is food storage chametz i have a years supply of wheat, oats, barley and flour sealed in cans. is this considered chametez? do i need to seel it? what abut the beans in buckets that are sealed, are they considered chametz? i am new to this. Re bulgur and quinoa Bulgur comes from wheat so it is chametz and forbidden on Passover.